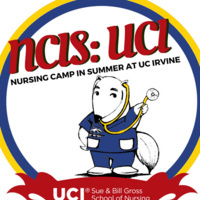 Nursing Camp in Summer at UC Irvine (NCIS: UCI) is a one-week summer program that introduces the nursing career to high school students. The camp offers an engaging curriculum based on classroom and boot camp simulation workshops that will provide hands-on experience in nursing skills. Continues through August 3. Due to high demand, we are offering this 2nd session of NCIS! The 1st session is now FULL!